In honor of St. Patty’s Day today, I have made something green! Okay, sure, this ice cream is barely green, but for what it lacks in colour, it makes up for in taste! Trust me when I tell you, this is better than the frozen aisle variety! 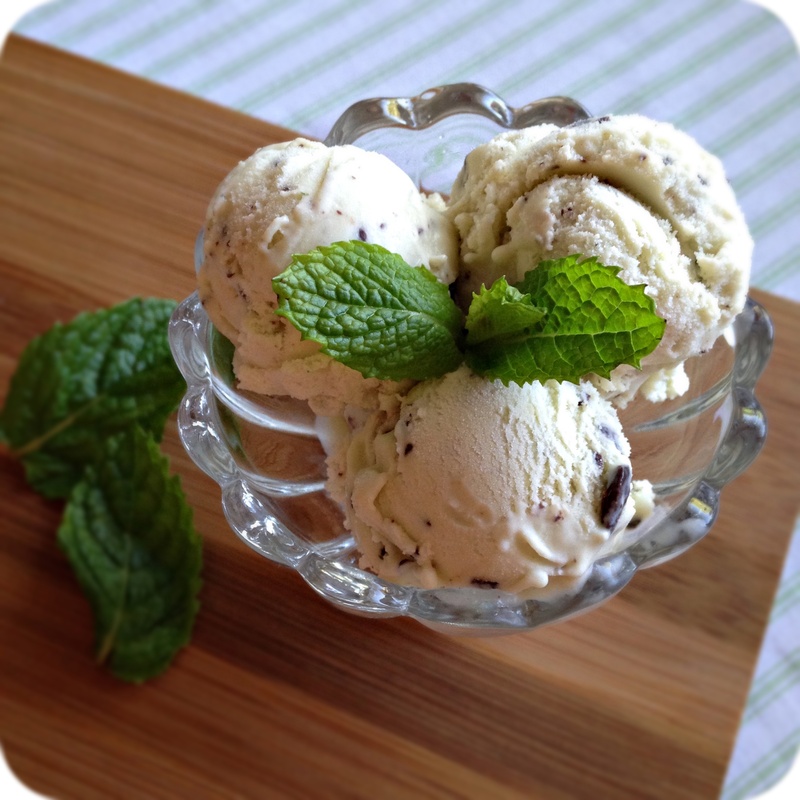 Mint chocolate chip ice cream has always been my favourite flavour, so I guess it is no surprise that it is the first thing I attempted when I bought myself an ice cream attachment for my Kitchen Aid. 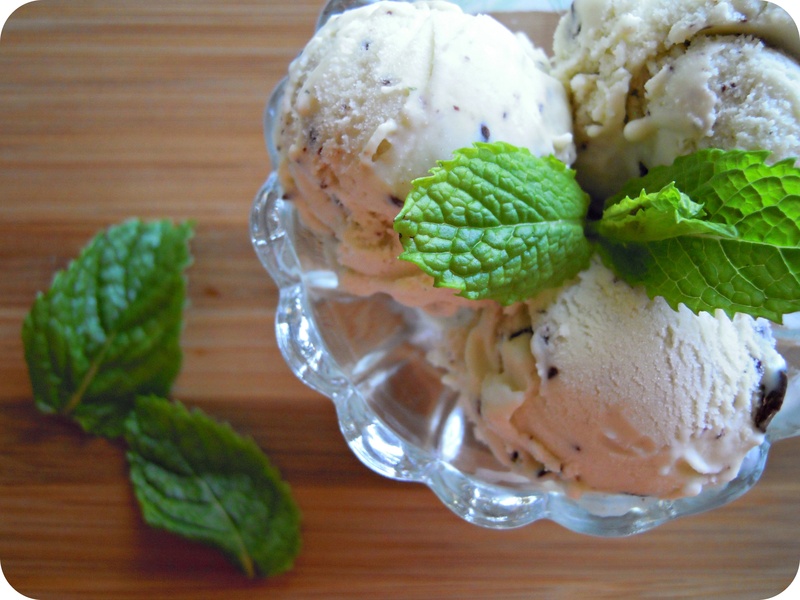 The best part about this ice cream is that it has no artificial flavouring or colouring, and I made it with fresh mint leaves from the backyard! As we’ve already begun enjoying beautiful Spring weather in Vancouver, I can’t think of a more refreshing treat to enjoy on a sunny afternoon! In a small saucepan over medium, heat the milk, sugar, 1 cup of cream and salt until the mixture begins to steam. Stir in the mint leaves, cover, and let steep for an hour. Once steeped, strain the mixture into a medium saucepan, pressing the mint leaves against the side of the sieve.. Discard the mint leaves, and rinse the sieve for reuse. Rewarm the mint-mixture over medium heat until it begins to steam, and then remove from heat. In a medium bowl, whisk the egg yolks until combined, and smooth. Continue to gently whisk the yolks, as you slowly add the warm mint-mixture to the bowl. Return this mixture to the saucepan, and cook over medium heat until it thickens and coats the back of a wooden spoon. Note: stir the mixture & scrape the bottom constantly, so to avoid cooking the eggs to a solid state. Pour the remaining 1 cup of cream into a large bowl and place your sieve on top. Slowly pour the egg mixture through the sieve (to remove any solid bits of egg), and the stir the mixture until incorporated. Place the bowl in an ice bath, and stir until cooled. Refrigerate until completely cool (overnight works best!). 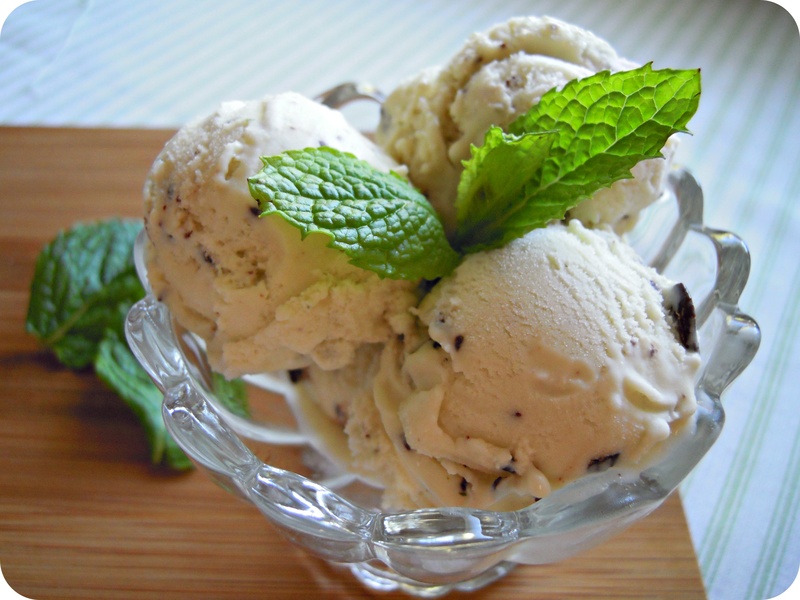 Once chilled, pour the mixture into your ice cream maker and follow the manufacturer’s instructions. In the final minute of churning, add the chopped chocolate. I have a confession to make: I actually made these cupcakes last summer. Why, you ask, am I only showing them to you now? This set of photos has been one of the most daunting folders on my desktop, for ages…I haven’t known where to start! However, with one midterm under my belt as of today, I am happy to announce that my schedule just freed up a little bit, and I was able to check this post off of my To-Do list once and for all! 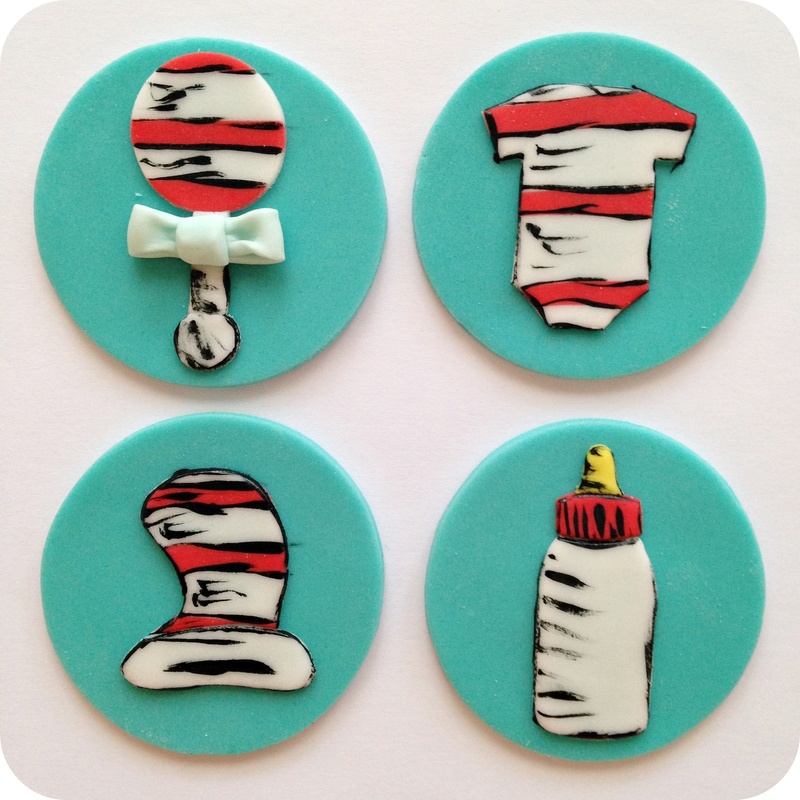 I was approached last summer with a request for some gluten free cupcakes for a Dr. Seuss themed baby shower. 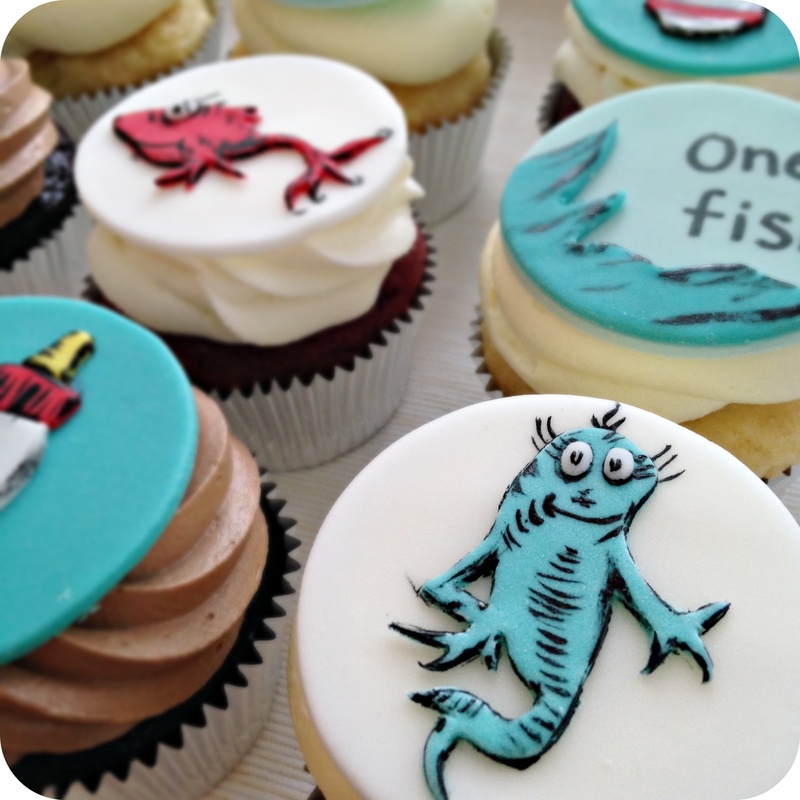 More specifically, the theme was specific to the One Fish, Two Fish, Red Fish, Blue Fish book, with an adorable New Fish baby shower twist! 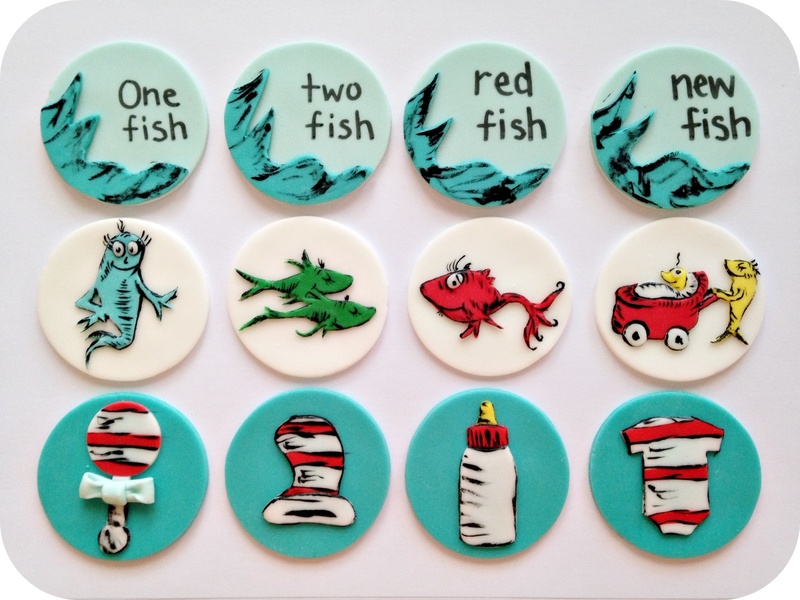 The design was left up to me, so after checking out this book thanks to youtube (I confess, I had never read it before) I created this set using fondant, a paint brush, and black gel food colour. 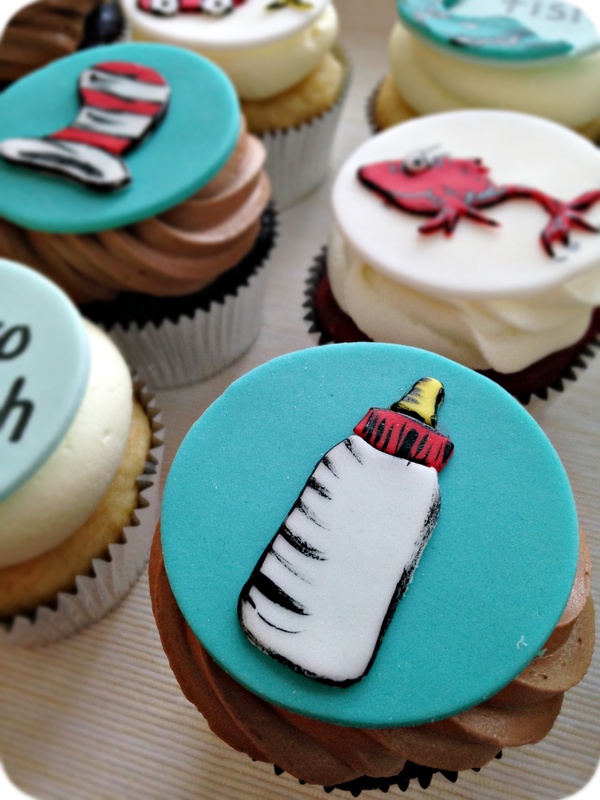 The best part about making these cupcakes, was the painting step! 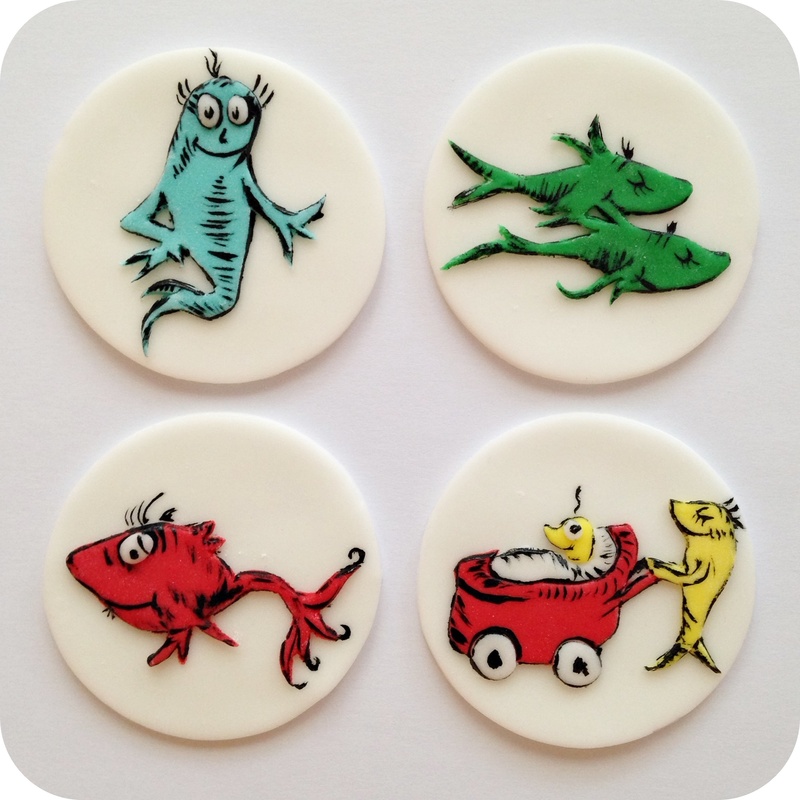 They literally came to life before my eyes, much like the pages of a well-loved Dr. Seuss book! The only downside of this order was duplicating 3 dozen of them! I’ve been looking for an excuse to make crème brûlée for quite a while now. One reason is due to it being a delicious dessert. The other is the fact that it requires the act of torching–something I have discovered is quite a lot of fun! A few days ago, the opportunity presented itself as I had some pumpkin puree to use up, and not a clue what to do with it. 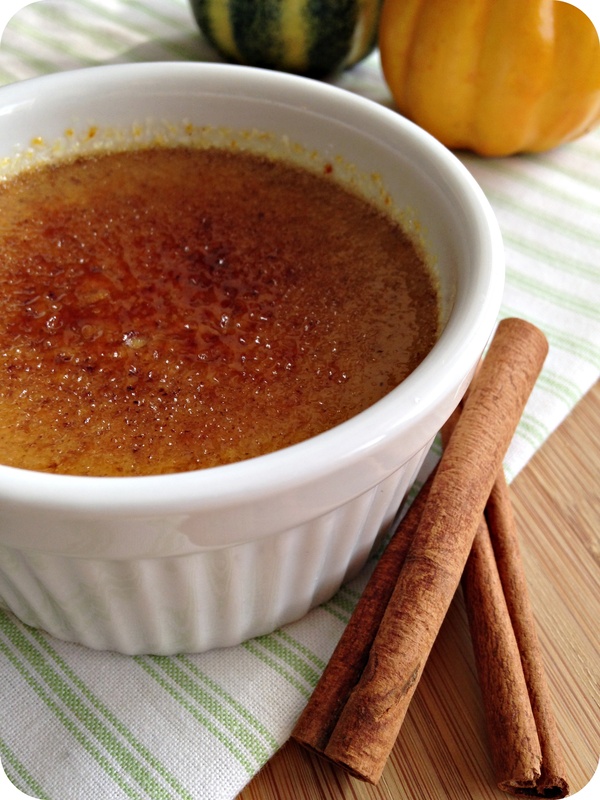 After conducting a little bit of research on Pinterest, the decision to make pumpkin crème brûlée was born! I really thought this dessert would be way more complicated to make than it actually was, probably because the sugar shell on the top always seems so impressive. I am happy to announce the while there is a little bit of a time commitment when preparing crème brûlée, there are thankfully no daunting techniques (unless egg separation is your achilles heel!). Preheat oven to 300°F. Boil a kettle full of water. In a small saucepan, whisk cream, cinnamon, allspice, ginger and nutmeg over medium-low heat, until the mixture begins to bubble at the edges and steam (approximately 3 minutes). Remove from heat and let stand for 15 minutes. In a large bowl, whisk egg yolks, salt, pumpkin, 1/3 cup granulated sugar, and brown sugar. Slowly pour cream mixture into egg mixture, gently whisking until blended. Pour mixture through a fine mesh sieve, over a large measuring cup. Divide custard evenly among four ramekins and place them all into an 8×8 baking pan. Pour boiling water into the baking pan, and fill until it is halfway up the outside of the ramekins. Cover the pan loosely with tin foil and bake for 30 minutes (custards should be set around the edges of the ramekins). Cool ramekins on a wire rack, and then refrigerate for at least 4 hours before eating. Prior to serving, sprinkle 1-2 tsp granulated sugar on top of the custard, and torch in small circular motions until the sugar melts and browns. Last week I stocked up on some Okanagan peaches to make this delicious Peach Crumble Ice Cream! I adapted a recipe that I found online by removing a few ingredients, and coming up with a makeshift crumble mixture to churn in at the end. “Unreal” was just one of the words my sister used to describe this dish, and who would I be to disagree with someone of such discerning taste? This recipe involves a few different steps and requires cooling time in the fridge at various points. Therefore the earlier in the day that you get started on this, the earlier to you get to enjoy it! In a large skillet over medium heat, simmer the peaches, brown sugar, and cinnamon until the peaches soften and the mixture reduces (approximately 15 minutes). Transfer to a glass bowl and chill in the refrigerator until cool. In a small sauce pan, heat 1 cup of whipping cream, sugar, and salt over medium heat until the sugar is dissolved (stirring regularly). Remove from heat and allow mixture to cool in fridge for about 10 minutes. In a medium mixing bowl, add remaining whipping cream, milk, and vanilla. Add the cooled cream and sugar mixture, half of the peaches and whisk to combine. Refrigerate mixture until absolutely cooled (the colder the better!). Add chilled mixture to ice cream maker and churn according to the directions (I used my Kitchen Aid ice cream maker attachment and churned for about 20 minutes). During the last minute of churning, add ¼ of the crumble mixture, and the remaining peaches. Transfer to a container, spreading a thick layer of ice cream and sprinkling with the remaining crumble. Repeat this process until all of your ice cream is in the container. This will give a nice rippled effect when scooped. Combine all dry ingredients in a small bowl, whisking to combine. Work the butter in with your fingers, breaking it up, until the mixture is crumbly, but cohesive. Bake until the mixture is browned and crisped (10-15 minutes), keeping an eye on it to prevent over-baking. Once cooled, break apart by hand.